Britain’s former chief rabbi, Lord Jonathan Sacks, branded the Labour Party leader Jeremy Corbyn a dangerous anti-Semite in an interview published Tuesday. Corbyn has been under mounting attack for his own allegedly anti-Semitic positions and for failing to root anti-Semitism out of Labour, Britain’s main opposition party. In an interview with the New Statesman magazine, Sacks, who served as chief rabbi from 1991 to 2013, called those remarks the most offensive to have been made by a senior British politician for 50 years. “The recently disclosed remarks by Jeremy Corbyn are the most offensive statement made by a senior British politician since Enoch Powell’s 1968 ‘Rivers of Blood’ speech,” said Sacks. “It was divisive, hateful and like Powell’s speech it undermines the existence of an entire group of British citizens by depicting them as essentially alien. Since becoming the leader of his party, Corbyn’s excuse-making has become more subtle. After Prime Minister Theresa May expelled Russian diplomats in response to the poisoning in March of a former Russian spy with a Soviet-era nerve agent, Corbyn was careful to say no one in his party supported Putin. Nonetheless, he urged caution and warned of a rush to judgment, despite his own government’s view that Russia was behind the attack. In 2017, following the terror attack at a rock concert in Manchester, Corbyn made sure to say the attackers should “forever be reviled” — while simultaneously asserting that government experts had linked such attacks in Britain to the country’s wars abroad. Politicians like Corbyn are rare in mainstream American politics, but not in the U.K. In 2005 George Galloway, a member of Parliament who was eventually banished from the Labour Party, gave an infamous speech at Damascus University praising Syria’s dictator and rejoicing in the defeat of the U.S. army in Iraq. Ken Livingstone, the former mayor of London, earned the nickname “Red Ken” for his apologetics for Britain’s foes. He quit the Labour Party this year after he was suspended in 2016 for saying Adolf Hitler supported Zionism, a conspiracy theory popular in the Middle East. And this brings us back to Israel. For years Galloway and Livingstone were on the fringe of the Labour Party. Labour remained the party of Clement Attlee, who knew the difference between open and closed societies, between free nations and police states. Today, that party is led by a foolish socialist who can’t seem to tell the difference. Is it any wonder that Jeremy Corbyn and his supporters have succumbed to the socialism of fools? Jeremy Corbyn claimed that Israeli officials control the speeches made by British MPs, in bizarre comments that have been called an 'anti-Semitic conspiracy theory' which ‘casts Jews as sinister manipulators’, MailOnline can reveal. ‘[British MPs] all turned up [to the debating chamber] with a pre-prepared script. I’m sure our friend Ron Prosor (the Israeli ambassador) wrote it. ‘Because they all came up with the same key words. It was rather like reading a European document looking for buzz-words. ‘And the buzz-words were, “Israel’s need for security”. And then “the extremism of the people on one ship”. And “the existence of Turkish militants on the vessel”. MailOnline has examined the transcript of the debate in question and could find no evidence that any of Mr Corbyn’s ‘buzz words’ were mentioned by MPs. In addition, a number of parliamentarians who spoke during the session have confirmed to MailOnline that they received no such ‘pre-prepared script’ or ‘buzz-words’ from Israeli sources. When Argentina’s national soccer team was slated to play a friendly match in Israel shortly before the World Cup earlier this year, Jibril Rajoub, the head of the Palestinian soccer federation, encouraged fans to target the team’s star, Lionel Messi, and burn his jerseys in an effort to cancel the game by means of intimidation. It worked: The Argentines bowed out, going on to suffer a string of humiliating defeats that ejected them from the international tournament at an early stage. Now it’s Rajoub’s turn to once again learn the lesson Palestinian leadership refuses again and again to heed: Violence will get you nowhere. Earlier this week, FIFA, soccer’s international governing body, banned Rajoub for one year and fined him 20,000 Swiss Francs, or $20,400, for inciting “hatred and violence.” This will deny Rajoub his favorite platform, speaking at FIFA meetings to blast Israel and demand that the Jewish state be censured. In response, Rajoub’s organization blamed FIFA’s decision on shadowy “interest groups” as well as on Jewish settlers in the West Bank. As kerfuffles go, this one is of relatively little importance: The fine levied on Rajoub is not large, and his ejection from meetings is largely symbolic. But it’s precisely its insignificance that makes l’affaire Rajoub so instructive. Here, in one small but resonant package, are all the components of the Palestinian national tragedy: The absolute refusal to engage in good-faith negotiations; the knee-jerk and gleeful dependence on violence; the malevolent narcissism that turns everything, from entertainment to sports, into a referendum on the Israeli-Palestinian conflict; the vicious conspiracy theories that hold that the Jews somehow control all of the world’s organizations; and, worse of all, the refusal to take any responsibility for any action, no matter how blatantly and obviously vile. Hate has a price. The head of the Palestinian Football Association, Jibril Rajoub, has used his position to politicize the sport. This time, he attacked the Argentinian team and launched a hateful campaign to pressure them to cancel their match against Israel. After a campaign launched by StandWithUs and several of our partners, FIFA has decided to take action and hold Rajoub accountable for this hateful actions. We’ve posted previously about the stridently anti-Israel tweets of British journalist Sarah Helm, who writes about the Israeli-Palestinian conflict at publications such as the Guardian and The Independent. Though we believe the tweets we highlighted in our post clearly represent an abdication of her responsibilities as a journalist, we just came across a new tweet which raises even more troubling questions about her professional credibility. The “taboo-busting” essay (“The chimera of British anti-Semitism and how not to fight it if it were real”, Aug. 19th) by Norman Finkelstein, promoted by Helm was published at the hate site Mondoweiss, and literally defends those who promote toxic stereotypes about Jews. Finkelstein criticizes a comprehensive survey on antisemitic attitudes in the UK published by the British Institute for Jewish Policy Research (JPR) in 2017, by arguing that some of what the JPR study defines as antisemitic is not actually antisemitic because it represents the truth about Jewish behavior. Detestable Israel hater Norman Finkelstein prides himself on his fact-checking (not to mention his sense of fashion). But the truth is, he couldn’t check a fact if it bit him on the tuchus. Update: Reader Tomer notes that the page that published this is not operated by Finkelstein but rather a page setup to increase his awareness. Nevertheless, I stand by my opening paragraph about his fact-checking abilities. As we know, the residents of Judea and Samaria (commonly referred to as “settlers”) are unfairly maligned, the product of untrue accusations and libels. For example, remember this one? And what we have here, is yet another example. The earliest instance of this photo I was able to locate is from this Facebook post of June 2011, by an Arabic speaker. I’d always thought that if Mr. Corbyn was ever nailed down on this issue, he’d be spouting the anti-Semitism of the international left: Shadowy Zionist lobbyists. Omnipotent Rothschilds. Benjamin Netanyahu glorying in the slaughter of innocent children. Instead we got something much closer to home. This was the anti-Semitism of Virginia Woolf and Agatha Christie. It was T.S. Eliot’s “lustreless” Bleistein puffing on his cigar and Roald Dahl insisting that “there is a trait in the Jewish character that does provoke animosity.” The comments were more redolent of the genteel Shropshire manor house where Mr. Corbyn was raised than the anticapitalist resistance movements where he forged his reputation. In recent months, most of the Anglo-Jewish community, normally happy to keep its collective head down, has been uncharacteristically vocal on the issue of Mr. Corbyn’s anti-Semitism. I haven’t. It’s probably because I’ve lived in England all my life, but I don’t like to make a fuss. I recoil from the paranoia and neurosis that haunts many older members of my community, though I recognize its cause. I have never wanted to be a PTSD Jew, forever stuck in 1933. 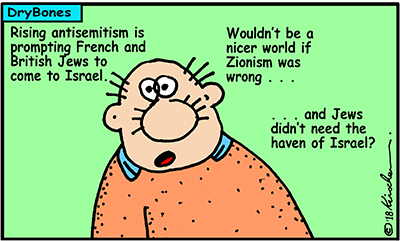 And I really do appreciate that parsing anti-Zionism and anti-Semitism can be a tricky business. Perhaps the deeper thing keeping me on the fence is that I desperately didn’t want to face the reality that Britain’s possible prime minister is a man who traffics in an ancient prejudice against my people. What would that say about my party — and about my country? J.K. Rowling went head to head with a fellow British writer on Twitter over his criticism of Jewish complaints about anti-Semitism in the Labour Party. In 1835, Daniel O’Connell, Britain’s first Irish Catholic Member of Parliament, attacked Benjamin Disraeli during a by-election. In the course of his unrestrained invective, the Irishman referred to Disraeli’s Jewish ancestry calling him the “worst possible type of Jew”. From the moment Disraeli became Prime Minister, the Liberal press indulged in anti-Jewish innuendo against him. His Liberal successor William Gladstone, when opposing the pro-Turkish policies of Disraeli’s Conservative government, accused English Jews of loyalty to foreign Jews. “Gladstone was convinced that Disraeli’s Jewish origins were an influence on his conduct of policy,” writes historian David Cesarani. “The accusation that Jews, from Disraeli downwards, were motivated by dual loyalty gained in volume,” he states. Over a century has passed. The accusations against Jews remain as stereotypical as Shylock in Shakespeare’s The Merchant of Venice. Jeremy Corbyn, leader of Britain’s Labour party is proving to be a worthy successor to his anti-Semitic forbears in Parliament. Yet the Left almost never throws out thinkers for ideological reasons. Leftist institutions will occasionally oust people who openly promote violence or involve themselves in outright fabrication. But when is the last time you saw a leftist outlet say of a leftist columnist, “That view is simply outside the mainstream”? Open Communism is fine; pure identity politics is fine. It’s not difficult to imagine a leftist listserv celebrating Charles Johnson’s words with the races reversed: “Heaven forbid that some thinkers . . . think that the US of A should become majority minority!” That position is actually rather mainstream on the traditional Left. The same is true with regard to hot-button issues such as abortion (Shout Yours Today!) and the First Amendment (it’s being weaponized, so we must curb it!) 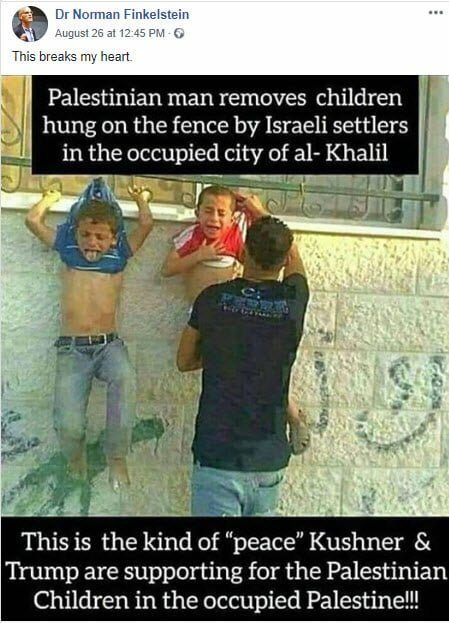 and anti-Semitism (see Sarsour, Linda). The Left doesn’t throw its radicals out. It mainstreams them. The institutional Right, however, spends an inordinate amount of time self-policing. That’s a good thing. This isn’t a call to silence people — Charles Johnson has his own outlets for his particular brand of bile. Nobody is calling for government censorship of voices, nor should we. But it is up to serious conservatives to decide with whom they associate. One of the tragedies of the recent past is that the Left’s refusal to acknowledge that self-policing has led too many on the right to begin tolerating the intolerable — to begin making common cause with those they should have thrown out of the tent long ago. That’s not entirely the fault of the Left, of course: Good people should always attempt to disassociate from evil, no matter whether others acknowledge such attempts. But the Left’s refusal to acknowledge good-faith efforts on the part of conservatives is an ongoing problem. So too is the Left’s refusal to excise its own cancerous voices. It is a reminder that when it comes to policing the boundaries of a political movement, the modern-day conservative movement far outpaces the Left. Real-estate investor Adam Milstein denied a report that he is a funder of Canary Mission, an anonymous website that aims to name and shame anti-Israel activists. On Monday, the Electronic Intifada, an anti-Israel website, posted an excerpt of a previously un-aired Al Jazeera report saying Milstein funds Canary Mission as well. Canary Mission “documents individuals and organizations that promote hatred of the USA, Israel and Jews on North American college campuses,” according to its “About us” page. In April of this year, Waters was once again in the spotlight for launching into a tirade against the Syrian volunteer rescuing group, White Helmets, whom he called a "fake organization" that created propaganda for "jihadists and terrorists." According to Waters, the organization published a fake video of a chemical attack that led the US, Britain and France to launch an air strike against Syria. In the interview with the Russian newspaper, Waters added that "This is just a chapter of a propaganda war that is trying to demonize Putin, Assad, Iran and so on." When asked if the decision to perform in Russia was a difficult one given his constant efforts to dissuade artists from performing in Israel and Russian's similar situation concerning Crimea, Waters replied, "of course not." As usual, Waters dodged from questions that could show his double-standards towards geopolitical conflicts, answering simply that he "knows that Sevastopol [Crimea's capital] is very important to Russia and many newspapers shows that Russia has all the rights to the city." After demonizing the usual countries and leaders in a rather superficial fashion, Waters finished the interview with a call for peace and empathy, "we must always remember that no matter how we look now and how we live, we are brothers and sisters." Pink Floyd co-founder Roger Waters has told a Russian media outlet that "there are many treaties and papers under which Russia has all rights" to occupied Sevastopol, and "Washington was behind" the Euromaidan in Ukraine. "Geopolitics has never been my strong point but I know that Sevastopol is very important to Russia and the Russians. There are many treaties and papers under which Russia has all rights to this city. The change of power in Ukraine with Washington behind it simply provoked Moscow into further action," Waters said in an interview to the Russian Izvestia newspaper, answering a question from a journalist about Crimea's disputed status. It is worth noting Waters expressed sympathy for Russian President Vladimir Putin in an interview to one of the propaganda resources a year ago. With less than two weeks to the Meteor Festival, the boycott, divestment and sanctions movement against Israel has chalked up a series of wins – and losses – with artists slated to perform there. The festival is scheduled for September 6-8 on Kibbutz Lehavot Habashan in the North, with dozens of local and international acts making up three days of diverse music. While headliner Lana Del Rey has made clear she is determined to appear despite the pressure from boycott groups, not all of the artists feel the same. Despite the handful of cancellations, major acts like Pusha T, DJ Flying Lotus, Kamasi Washington and A$AP Ferg have not indicated any intention to pull out of the festival. But a handful of other musicians have changed their minds in recent weeks, including some local groups. On Sunday, the festival announced two new names for the lineup – British DJs Secretsundaze and Dan Shake. Two local Arab musical groups, Zenobia and Khalas, that were part of the original announced lineup have indicated their intention to cancel. The BDS movement calling for a boycott of Israel printed posters showing the Jerusalem Symphony Orchestra’s conductor covered in blood, ahead of a concert in Chile. Anti-Israel protesters were planning to hold a demonstration outside the concert venue in Santiago on Monday evening, prompting Israel’s ambassador Eldad Hayet, to call on local security force and police to ensure safety at the performance. Demonstrators circulated a poster showing orchestra conductor Yeruham Scharovsky covered in blood, using a trope popular in medieval blood libels. The orchestra is currently touring to packed venues across South America and this was not the first time it had faced opposition from the BDS movement. Last week demonstrators shouted anti-Israel slogans and waved Palestinian flags outside a concert in Sao Paulo in Brazil. Passion was plentiful in the discussion Thursday night over a proposal to make a region of Israel Boulder's ninth sister city. Council approved the sister city relationship with Ramat HaNegev, Israel, and another with Kathmandu, Nepal, unanimously on a 7-0 vote; councilwomen Lisa Morzel and Suzanne Jones were absent. More than two dozen members of the public spoke during open comment. Tara Winerproposed the area as a sister city, lauding its many similarities to Boulder, including a love of the outdoors, environmental stewardship and a thriving university and tech startup scene. "We have been looking forward to an Israeli sister city for some time," she said. Winer was among the many vocal opponents of Nablus, in the Palestinian territories, being made a sister city in 2016. The public hearing for Ramat HaNegev drew similar opposition, with multiple speakers decrying the Israeli government's harsh treatment of ethnic and religious minorities. They argued that, in voting for the sister city, Boulder would be giving tacit approval to Israel's actions. "This vote is taking a side," A.J. Nichols said. "Take the side of human rights." This week Michael Burd and Alan Freedman begin with a studio chat with Marcia Griffin, a non-Jewish businesswoman, local councillor and Israel advocate about her support for Israel. Isi Leibler joins the guys from Jerusalem with his thoughts on what’s been happening with Ronald Lauder, president of the World Jewish Congress who has now become an ardent critic of both Israel and PM Netanyahu. They also catch up in the studio with Stan Goodenough, an Israeli based Christian Zionist who visits Australia regularly, and then hear from Dan Mariaschin, head of the B’nai B’rith in the United States about Gaza and the media war against Israel. The truth, in fact, was that when David Blumberg, chairman of the library, presented the new building plans to the prime minister, Netanyahu asked him where the bunker was. Blumberg answered that there is no bunker. Netanyahu responded: “You mean to tell me that you mean to keep all of the scholarly treasures of the Jewish nation in an unprotected building above ground? Do you know how much this location – the government compound in Givat Ram – will be targeted in wartime?” Blumberg grasped the severity of the oversight and quickly remedied it with revised building plans. Much later, without any connection to the bunker, negotiations between the library and the Netanyahu family concluded, and the elder Netanyahu’s works were donated. Germany will not tolerate "vigilante justice," Chancellor Angela Merkel's spokesman said on Monday, after hundreds of far-right and neo-Nazi supporters protested in the eastern city of Chemnitz against the death of a man involved in a multi-ethnic dispute. A 22-year-old Syrian citizen and a 21-0year-old Iraqi national were arrested in the killing of a 35-year-old German man during a clash after a street festival on Sunday. Police said around 800 demonstrators had gathered in Chemnitz on Sunday, hours after the German man died following a dispute between several people of "different nationalities." Some of the protesters had thrown bottles at police officers. The demonstration followed calls on social media by far-right and neo-Nazi groups for protests over the man's death. An amateur video posted on social media and aired by national broadcasters showed skinheads chasing a young Arab-looking man at a major intersection in the city. Other clips showed hundreds of demonstrators shouting "We are the people!" – a slogan used by far-right supporters. Jakiw Palij, the 95 year old former Nazi guard at the Trawniki concentration camp is finally being served justice. After more than a decade long process, this week, Palij was stripped of his U.S. citizenship and extradited to Germany. [C]onsider all the ways in which the director, Chris Weitz, might have failed. He could have, for example, taken the same tedious route as José Padilha in 7 Days in Entebbe [about the notorious hijacking and rescue in 1976], slathering the screen with thick layers of symbolism that neither move nor inform; that movie cross-cut the raid on the terminal in Uganda with a modern dance performance, delivering one of the most unintentionally comical moments in recent cinema. More pedestrianly, Weitz might have opted to reduce the film to just one of its elements, giving us a tense psychological drama that rarely leaves the airless room where the Israeli spy [Malkin] and the fugitive Nazi spent nine days engaged in a battle of wits, or else a fast-paced caper of subterfuge and narrow escapes. . . .
[Operation Finale also] raises far sharper questions about the intersection of justice and revenge than that other recent tale of Mossad agents out on the hunt, Steven Spielberg and Tony Kushner’s lugubrious and preachy Munich. . . . In an age when too many filmmakers fashion their work into banners advancing their own political pieties, Weitz gives us something much more valuable: a study in unruly feelings and the extremes we sometimes go to when we strive for or run away from our just deserts. . . . If you’re hoping to see the banality of evil [the famous phrase Hannah Arendt coined in describing Eichmann] on display, you’re out of luck: Eichmann is played by Ben Kingsley, who manages to be simultaneously imperious, menacing, and vulnerable even when sitting on the toilet. . . . Weitz knows better [than Arendt]. His Eichmann is demonic precisely because he knows exactly how to think from the standpoint of his interrogator, and knows, too, how to sharpen this skill into a weapon. He sees no reason to empathize other than to gain an advantage, which makes him all the more human and all the more terrifying. A bakery in Amsterdam called “Anne & Frank” has said it will change its name after sparking outrage. According to Dutch media reports, the bakery opened just over a week ago around the corner from The Anne Frank House, a popular tourist site in the city. The site, now a museum, is where teenager Anne Frank and her family hid from the Nazis for two years before they were caught and deported to concentration camps. Anne Frank died in Bergen-Belsen in 1945 at age 15, but her wartime diaries have made her a symbol of Holocaust suffering. The bakery’s owner, named as Roberto Barsoum in several local media reports, did not anticipate the backlash he received. Researchers at the Hebrew University of Jerusalem said they have developed a new biological drug that had a 50 percent cure rate for lab mice with acute leukemia. The results were published last week in the scientific journal Cell. The rights to the molecule they developed has already been sold by the technology transfer arm of the Hebrew University, Yissum, to US pharma firm BioTheryX, with whom the team of researchers will continue to work to further develop the medication and apply for FDA approval for phase I clinical studies on humans. Adult acute myeloid leukemia (AML) is a type of cancer in which the bone marrow makes abnormal myeloblasts, a type of white blood cell, red blood cells, or platelets, according to the National Cancer Institute. Eventually, a person with the disease will start to lack red blood cells that help carry oxygen, platelets that stop bleeding, and white blood cells that protect the body from diseases. That’s because the ailing body is too busy making the leukemic blast cells, and the result can be deadly. An Israeli equestrian has withdrawn from next month’s world championships because the competition will take place on Yom Kippur. Israeli rider Dan Kramer sent a letter earlier this month to the international federation saying that he would not compete due to the conflict with the holiest day on the Jewish calendar, Ynet reported last week. In 1970, Ashraf Marwan—a chemistry student at a British university who happened to be Gamal Abdel Nasser’s son-in-law—telephoned the Israeli embassy in London and offered himself as an intelligence asset. Marwan, who soon became an important adviser to Nasser, continued spying for Israel until 1998. Hundreds of Israelis gathered on Tel Aviv’s Gordon Beach on Monday to watch a reenactment of the arrival of Jews aboard immigrant ships to British Mandate Palestine. Ha’apala 2018 featured folk dancing, a flash mob, sculptured ships in the sand and a computerized list to help locate relatives who were on the illegal ships. The event was hosted by the Ministry of Jerusalem and Heritage, the World Zionist Organization and the Zionist Council in Israel-Anglo Division. “What we are trying to do here today is to take the Ha’apala to Tel Aviv in order to make a much bigger exposure of it to the public,” Noa Geffen, development director at the Society for Preservation of Israel Heritage Sites told The Jerusalem Post during the event. “It’s the end of the summer and people are looking for activities for their families, so we decided to bring this event to where they are, to the beach of Tel Aviv and share with them a very heroic and important chapter of our history,” she added. According to Geffen, around 130,000 people participated in the clandestine illegal immigration and the organization has been able to find 110,000 names of those who took part at the time.